A colorful collection of original songs from a contemporary story teller and Bard of the South . The album is beautifully engineered and cleanly produced with all acoustic instrument accompaniment and multi-voice vocal tracks. 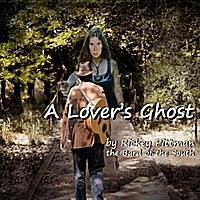 A Lover's Ghost is Rickey Pittman's 3rd album and a collection of fine original songs in the Folk/Americana style. 15 tracks with vocal and harmonies accompanied by standard and DADGAD guitar, banjo, banjola and resophonic guitar. The album was produced by Jed Marum for Boston Road Records in Dallas TX. Award-winning author, storyteller, songwriter, and folksinger, Rickey E. Pittman. Pittman strives to find and share the forgotten and neglected stories and people of history and legend and bring them to life before his audiences. Whether you seek a song to touch your heart, a book to instruct your children, or a motivating and entertaining program for your school children, district teachers, your library, your organization or your festival, this bard of the South has good things to share. Rickey E. Pittman, storyteller, author, and folksinger was the Grand Prize Winner of the 1998 Ernest Hemingway Short Story Competition, and is originally from Dallas, Texas. Pittman presents his stories, music and programs at schools, libraries, organizations, museums, Civil War Reenactments, and Celtic festivals throughout the South. His first CD of songs from the American Civil War is entitled Bard of the South. His second CD of Scottish and Irish songs, The Minstrel Boy, was released Jan. 2012. Pittman has a BA in New Testament Greek and an MA in English Literature from Abilene Christian University and currently teaches college level freshman composition and literature.